This is the summary of consumer reviews for Sno-Tek 24 in. 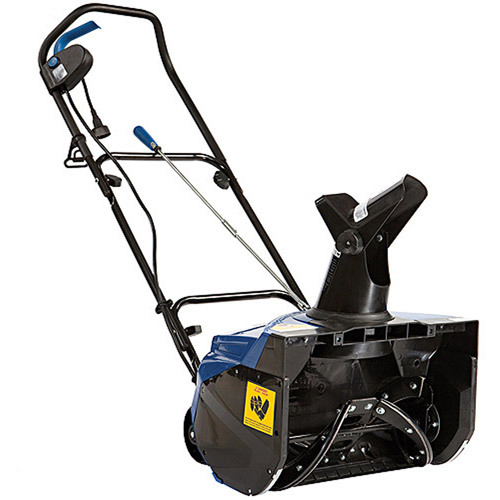 Two-Stage Electric Start Gas Snow Blower (Model: 920402). The BoolPool rating for this product is Excellent, with 4.60 stars, and the price range is $629.00-$729.99. I was amazed how well the machine threw even heavy, wet snow many feet. i fought the machine a little bit with only one wheel locked in wet heavy snow. The most recent was 12" of heavy, wet snow and this machine performed better than marketed. Definitely would recommend this machine! This machine turned into a little beast! 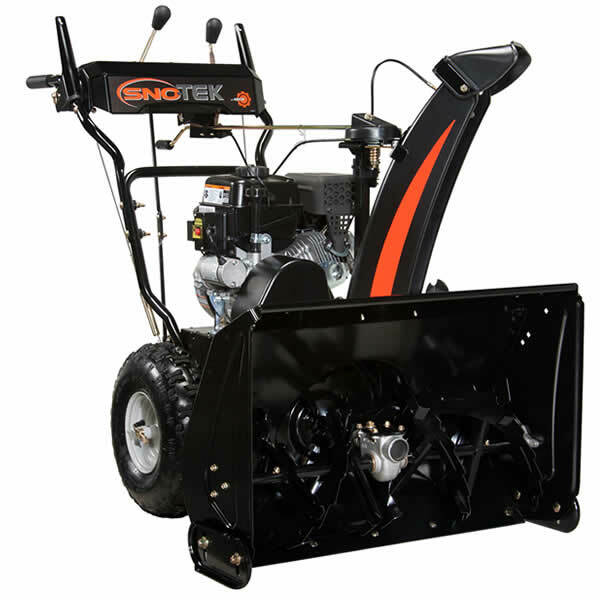 I've had Ariens snowthrowers in the past and so far the Sno-Tek machine is every bit as good as the Ariens branded machines.We received our snowblower just 3 days after ordering it online. Great machine that gets the job done. It's started up very easy and cuts down on the time to clear the driveway off considerably. My driveway had 22 inches near the house and the town plow managed to increase that at the bottom of my driveway when they plowed the street. I noticed my neighbor with a competitor "RED" machine with the same size blower as this one was having to go slower down his driveway and had a bit of difficulty getting through the plow mound at the end of his driveway. Another snowy midwestern winter with a small single stage was just not going to cut it anymore, especially after spending 2 1/2 hours clearing my small driveway of a foot of snow. With the new toy I couldn't stop at just my three car driveway I cleared off several neighbors and didn't have any problems. My husband started it up - first try - then proceeded to clear off our 3-lane driveway of 8 inches of snow. 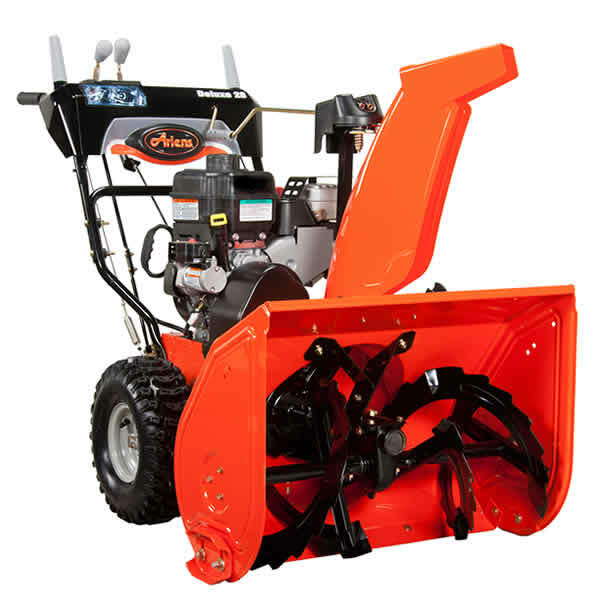 I opted for the 24" as i wanted more maneuverability and this does it all, small enough to get around everything but has the power needed to clear 2 feet of snow, its able to throw snow at least 20 feet with no problem so cleaning my 120 foot driveway doesn't take long. 1 easy pull to start and cleared through some deep drifts. This machine works very well. 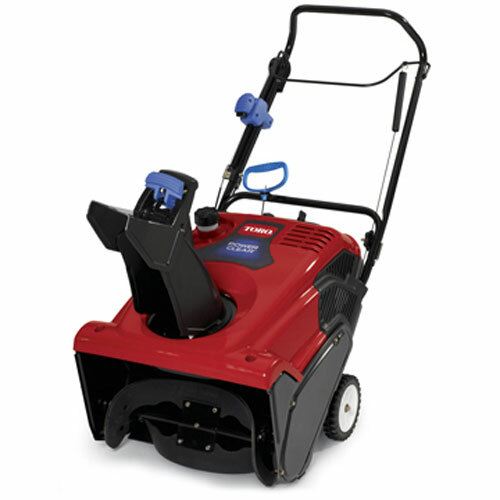 This machine starts extremely easily, and worked flawlessly through its first season.Pros: Throws all types of snow - heavy/wet, or light/fluffy, very far! The electric start wouldn't work at all, thankfully the pull start worked like a charm. We live in Colorado and it's snowed quite a bit while the snow blower works great in light and deep snow when the snow become slushy it doesn't work very well. the snow blower works like a champ !! Seems to push the snow and pile it up rather than blow it -- was a little disappointed since my neighbors snow blow worked fine in this situation. Other that that it went together very well and works excellent. 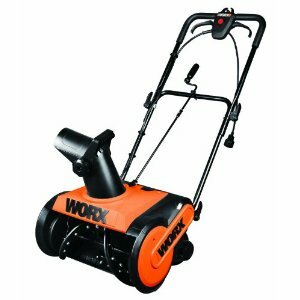 Well we got our first snow fall for the season (been waiting for a month), well this snow blower works great, only problem is that it shoots the snow so far it lands in neighbor's driveway, had to go and do it also, not saying that I didn't want to anyways was having that much fun. Put the pin in the other wheel so both wheels go to work. I took it for warranty work , and the fuel line was cracked. It was very easy to operate and I highly recommend this machine! 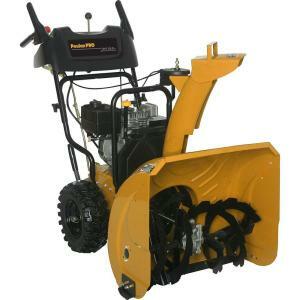 It's easy to start, and the controls are easy to operate while removing snow from drives and walks. 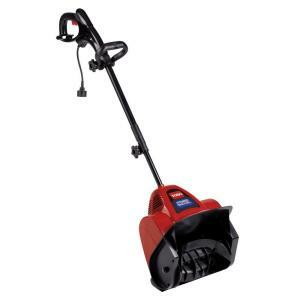 My snowblower was an excellent purchase.It did a great job removing the snow.The machine i found was very easy to start even manually,started first pull everytime.Also very easy to maintain.All around an excellent piece of equipment to own.Will highly reccomend to all my friends. 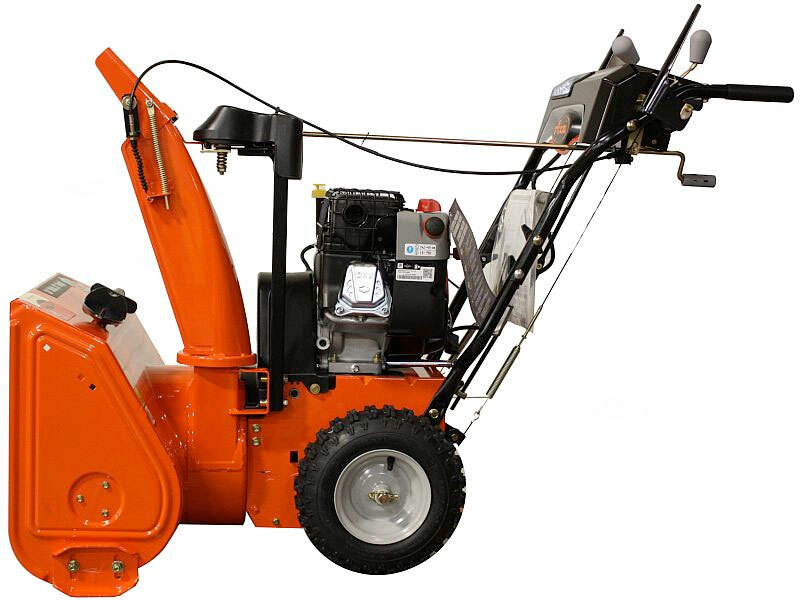 This machine blows any type of snow with ease and is very easy to use. We received 22" here on Long Island and this machine made my life very easy! It's easy to handle, turns well, blows great and has gone through fine powder and super wet chunky snow with no problem. 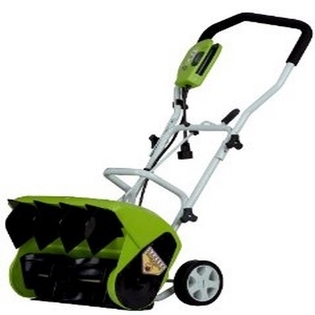 The controls are easy to work, and it's a good size for maneuverability. An easy pull, and it started on the very first pull. It started on the first pull !!. The engine is a foreign job, but starts on first pull every time, and runs out great!!. Didn't have to use the electric start as it'd start each time on the first pull. The first of which was 12" of heavy wet snow it wasn't the first test I'd hoped for with a new snowblower. I've used it 4 times this year and it always fired up on the first pull. I tested all the features, the pull start was much much easier then I'd expected, first pull started it. Right from the first start of the season to the last, it started up on the first pull. As it turned out though, after the first significant snowfall (16 inches of heavy snow), the unit performed very well and I was relieved. I used my new Sno Tech 24" snow blower for the first time today after a snow storm.